What exactly are essential oils? Quite simply, essential oils are the most important ingredients of aromatherapy. In food and drink the oils are used to give natural flavours, aromas and preservatives. They are used in cosmetics for their beauty and cell-rejuvenating properties. The perfume industry loves their beautiful scents and the way they can enhance moods and emotions. We are very lucky that these magical essences come in such a convenient form for us........usually in a small bottle. In fact, it takes a lot of work to produce a very small amount of essential oil. We just don't see all the time and patience taken to get to that little bottle! It would take around 10 large bucketfuls of orange blossom to extract a thimbleful of neroli oil. Or over 60 000 rose blossoms to produce one ounce of rose oil. 100 kilos of lavender plant will provide 3 kilos of oil. 8 000 000 hand-picked jasmine blossoms are needed to produce 1 kilo of oil. They are aromatic, concentrated liquid substances which are obtained from the flowers, fruits, bark, resins, leaves and roots of plants and trees. In other words, they are the 'essence' or vital life force of the plant or tree. Bay oil is extracted from the leaves. Ginger oil comes from the root. Citrus oils are squeezed from the peel of the fruit. It is also important to harvest the plants, flowers and herbs at exactly the right time! Lavender should be picked between 10:00 am and 4:00 pm, the hottest time of day as it is gathered in August. 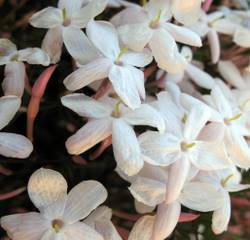 Jasmine flowers must be picked, by hand, at night because their odour is more powerful after dark. Now you can begin to imagine the time and effort taken to produce these wonderful aromatic oils. Each oil has a different chemical composition depending on which plant or tree it has been extracted from. This means that each oil has different properties, aromas and even sometimes colour. They are highly concentrated and very rarely used neat. Usually they are mixed with carrier oils, alcohol, lotions, creams and water. They are also very volatile, which means they evaporate very quickly when they come into contact with air. You must keep them in airtight bottles and replace lids as soon as possible! Aromatherapy oils are extracted in different ways and often vary in quality. Only oils obtained by steam distillation and expression can really be classed as essential oils. Those that are extracted by using a solvent are known as absolutes or resins. Distilled oils are considered to be the best to use for therapeutic use whereas absolutes are indispensable to the perfume industry. Aroma is the main thing here! These natural essences dissolve in alcohol and fatty oils, such as grapeseed, sesame and sunflower. They do not actually dissolve in water, but stay suspended for a short time........long enough for an aromatherapy skinwash. However, if you want to use some drops in the bath it is best to put them in a small amount of milk (which contains fat) first and then add! They penetrate the skin much more easily than water or vegetable oil. This is because essential oils are easily mixed with fats and the human skin is made up of fats amongst other things. Whenever they are used in aromatherapy massage, aromatic baths, compresses or creams and lotions some of the essence is inhaled. This also has a direct effect on the body. There are some hazards if certain oils are misused - for example used neat or in strong concentrations over a period of time. Some oils are very poisonous. However, if used in a sensible way, and as recommended then you and your environment can benefit from them safely! Oils are often blended, for many different reasons, and it is important to consider their properties and synergy when doing so. Because these oils have such beautiful smells their value is often underrated. 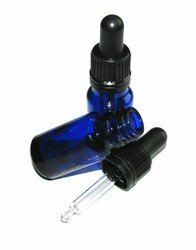 These natural plant oils are very complex in their molecular structure and very powerful. For example Oregano is 25 times more powerful as an antiseptic than phenol - the active ingredient in many commercial cleaning materials! Discover for yourself the powerful nature of essential oils.